No matter what service your offering or product your selling, quality photography can be a powerful marketing tool and help set the tone while delivering your key messages. After all, a picture speaks a thousand words - but it’s essential to consider what it is saying. Through projects we’ve worked on and businesses we’ve interacted with, it’s clear that the benefit of photography to the visual brand is wildly underestimated. Businesses happy to supplement with stock, a picture on their phone or better still - something ‘available’ on google. With a plethora of choices out there for easy, affordable and quick stock imagery, why waste time and money sourcing your own photography? Well saddle up, as we’re taking a look at the positive impact of genuine photography and how you can make your imagery work for your brand. 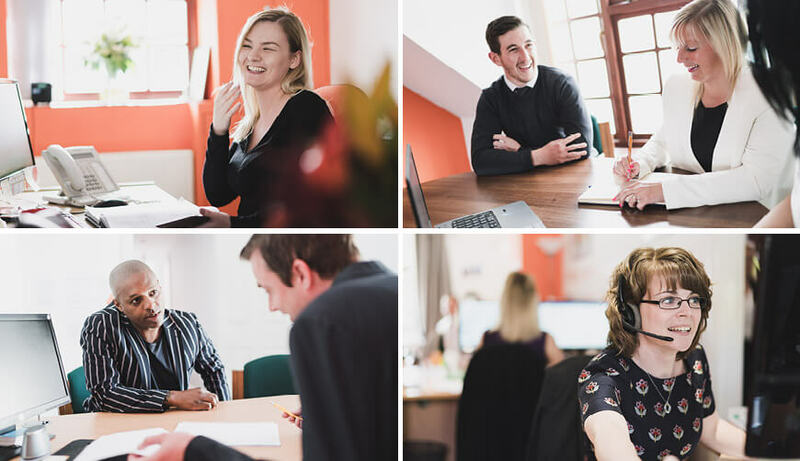 Our office shoot with Key Solutions was full of personality and honest expression. Their branding is present in the office decor giving the set of images a much needed cohesion. ‍‍The main problem with stock imagery is that others are using it. Why spend time building your visually distinctive brand only to share your photographic imagery with your competitors. “But, I found this really obscure stock site”. Doesn’t matter. if you’ve come across it, someone else has too – and that means someone else is potentially using your imagery. Paying the premium for high end stock photography will guarantee you a higher quality photograph but it doesn’t give you exclusivity. These images are readily available to anyone with the budget. If you’ve put the effort into establishing your brand values or outlining your USP, this all unravels if your generic imagery makes you look like a cookie cutter business. We documented Foredowel's highly skilled engineers operating specialist machinery. 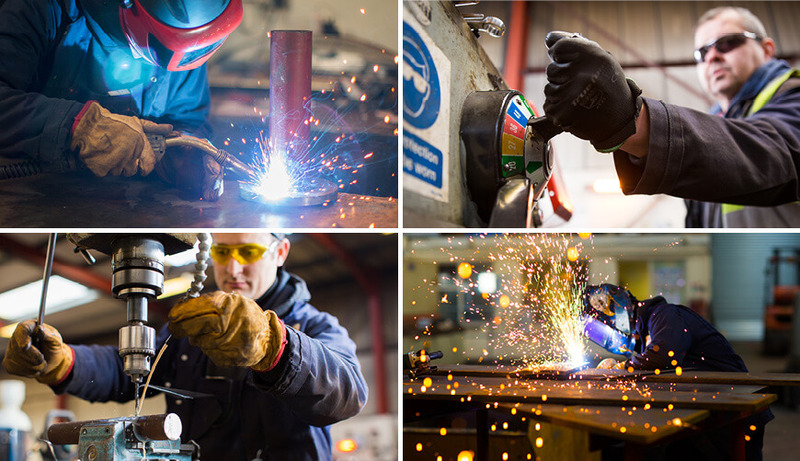 The images provide a real insight to the business and highlight their consideration for safety which is reassuring to customers that they do things right. We live in an era where consumers are far more considerate of the brands they buy from. Being ‘authentic’ has become so deeply important in branding that it can be the differentiating factor between someone choosing you or your competition. People want to buy from and work with people. And although the inclusion of stock imagery in your brand doesn’t mean consumers believe the company is being ran by Skynet, there isn’t a trust with who exactly they are working with. Businesses understandably use stock imagery to change customer perceptions and sometimes it’s a cloaking device to hide the true scale of the company. But honest imagery of your staff at work or the behind the scenes allows your audience to connect with the business and ultimately, it validates that you carry out the work you claim to do. There are certain stock images out there that have been so frequently used we simply ignore them. Using something completely unique makes people take notice, they’ll spend more time engaging and are far more likely to interact. 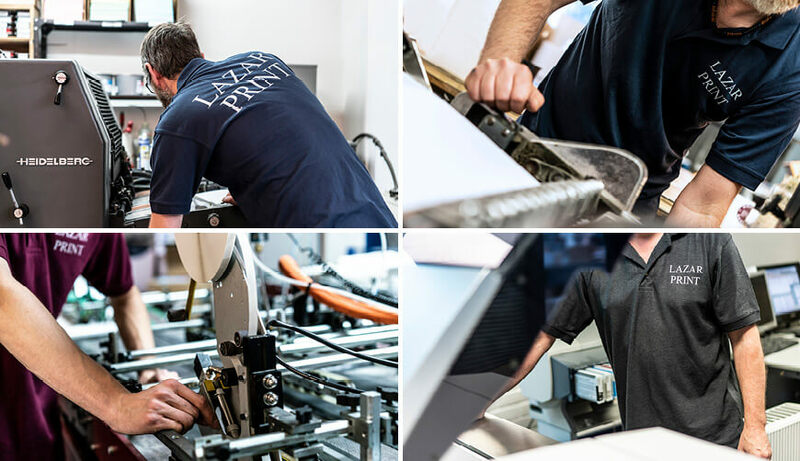 The Lazar Print team increased their awareness by wearing branded workwear during the shoot. Capturing your own imagery is a perfect opportunity to increase your brand awareness. An image of an employee in branded workwear is significantly more impactful than just an employee working (is that really your employee?) Re-emphasising your brand identity through your Imagery is a certified way to be both unique and authentic. You can also control the environment with your own photography. Deliberate colour palettes and brand specific objects or scenery can be injected into the images to help them feel more like your brand. You can set your own style, define the mood, and always ensure that your company values are considered and present. You may not be a photographer but we all have a smartphone these days, and although the quality isn’t that of professional equipment, adding some of your own genuine images into your brand is fantastic way to boost your brand authenticity. We developed the Signature Sports website using images taken on the clients phone camera. They give the brand authenticity while providing the potential customer with peace of mind. Take our work for Signature Sports for example. All the imagery used in this brand is taken from our client’s smartphone. It provides customers with an honest account of the service and builds a trust that the sessions are as advertised. They connect with the images on an emotional level and love seeing the kids smiling. The photography is not of the requisite quality to be used in large format or as key campaign imagery but there is a place for it. We take the limitations of the picture size and build them into the brand toolkit tastefully. So stock feels like the only option to you? Okay, well you can still take some ownership of these images. Consider adding elements of your branding onto your stock. Layering colours, patterns, type or illustrative assets can be a great way to ‘brand up’ a generic stock image. 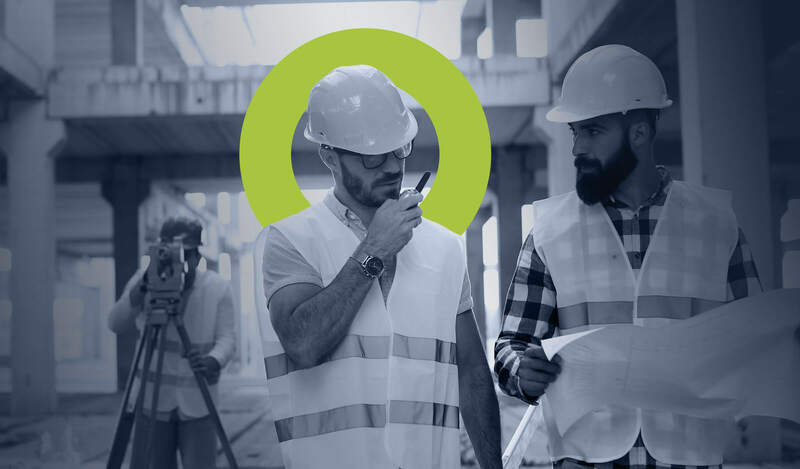 For Capability Consulting, we used stock imagery as a base before adding graphic elements and modifying the colour palette to match the brand identity. For example, when we built the brand for Capability Consulting it was decided that professional photography wasn’t feasible. Instead we opted to ‘brand’ the selected images with the brand’s colour palette and the inclusion of the ‘halo’. It’s a great way to make these images feel more personal as in this instance was an essential way of delivery the brands core message. Bespoke illustration can, at times, provide a more flexible, cost-effective solution to photography. Sometimes it can be a more suitable fit for your business and brand. We go into more detail about the benefits of illustration sets in branding here. The main takeaway here is that whichever route you go down for your business you must always keep your customers at the forefront of your decision making. What perception will your audience have of your company? Does your imagery provide a fair assessment of the quality of work you provide? If not, it’s time to make a change. 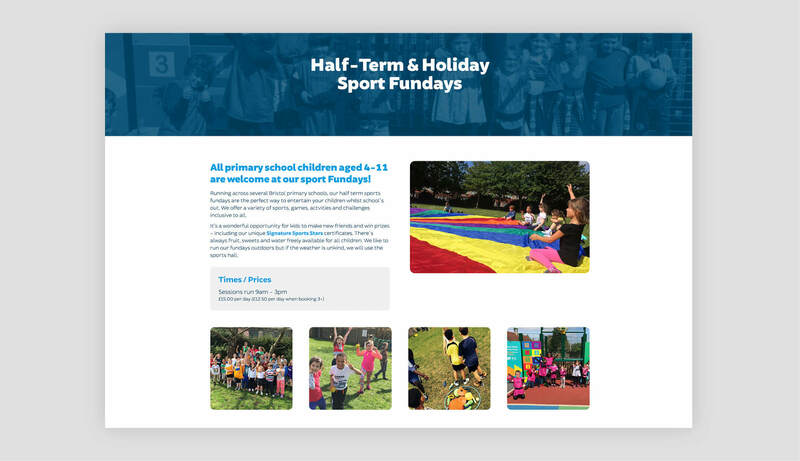 ‍If you wish to discuss your existing imagery and the suitability for your branding please get in touch. We are happy to hold a no obligation consultation to discuss your requirements.